Provident Fund (PF) or Employee Provident Fund is an employee benefit scheme normally prescribed by a legal body of the government which gives facilities to the employees of an organization with regard to medical assistance, retirement, education of children, insurance support and housing. Sagar & Company is a leading consultant for pf registration in delhi ncr, develops and creates solutions based on the particular needs of the client. We provide services of professional expert in maintenance, preparation and submission of following Records/Returns etc as per the requirement under EPF Act, 1952. Documentation and filling the same to obtaining EPF registration code Number of new establishment within prescribed time limit as per act and rule. Form 5A (Return of ownership). Online generation of monthly Challan for EPF & deposited into bank within prescribed time as per Act. Online Preparation of Monthly Return. Online submission of Form 12A (Revised), form – 5(New Joiness), Form – 10 (Resigned), Form -7(IF). Preparation of Nomination & Declaration Forms in Form No. 2 (Revised) of the new employees. 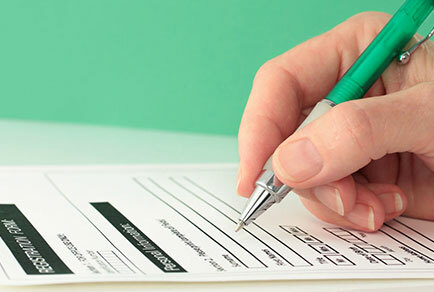 Preparation of Declaration form in Form- 11(Revised). Handling PF inspection, assessment & reply of notices etc. Appearing before concerned authorities on behalf of the employer in 7-A proceeding under EPF act. Immediate circulation of new amendments or changes in the acts. Online filing of Form No. 3-A (Monthly Contribution of the employees). Online filing of Form No. 6-A (Annual Return). Handling queries regarding issuance of Annual PF A/c slips. Receipt of PF transfer forms (Form 13) from new appointees and sending them to. RPFC/Ex-Employers trust for getting the fund transferred through the concerned RPFC office. Preparation & filing of forms (19 & 10-C) after 60 days of leaving of the employee making settlement. Scrutiny of documents regarding transfer or withdrawal to ensure that same are within the norms as specified under the rules.